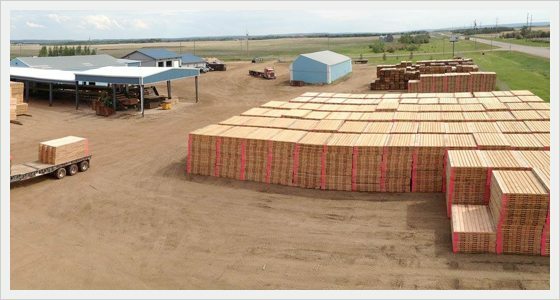 Northern Mat & Bridge is the largest access provider in Canada, with thousands of access mats and bridges in our inventory. Numerous product lines and individual pieces of equipment with different lifespans all have to be managed in an efficient way. As a part of our quality guarantee, we utilize sophisticated online tracking systems that manages our entire product portfolio. This tells us where equipment is currently, where it has been and helps us plan where it will go next. For our customers, this means we can quickly develop project packages and source all the required products. We can get operations moving quickly by coordinating all the materials and organizing transportation through our digital systems. Having a powerful inventory system enables us to make quick searches throughout our entire inventory to find specific equipment. Customers can call us up in an emergency and we can have the required component sourced and delivered quickly.